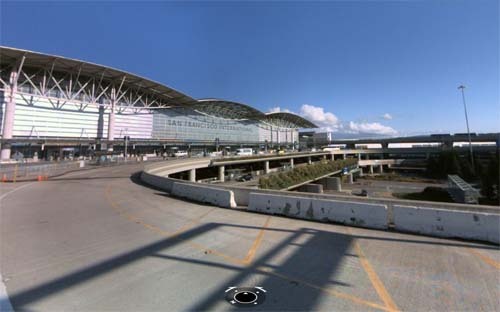 San Francisco International Airport (SFO) is a major international airport located 21 km south of downtown San Francisco, California, United States, near the cities of Millbrae and San Bruno in unincorporated San Mateo County. 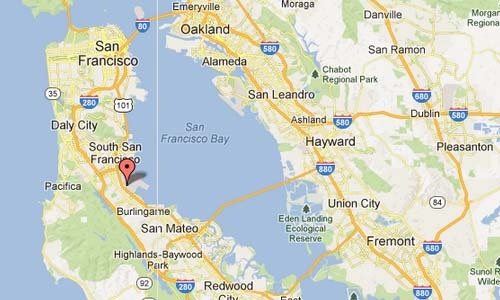 It is often referred to as SFO (from “San FranciscO”). The airport has flights to points throughout North America and is a major gateway to Europe and Asia. It is the largest airport in the San Francisco Bay Area and the second busiest airport in California after Los Angeles International Airport. 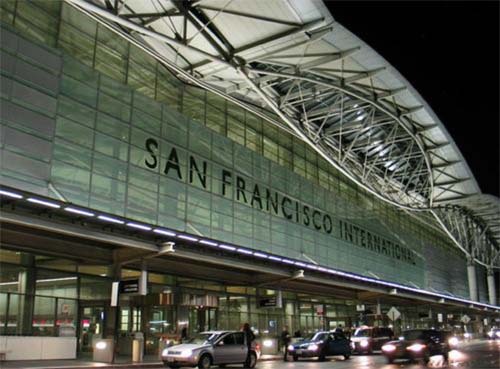 In 2009 San Francisco International Airport was the tenth busiest in the United States and the twentieth largest airport in the world, by passenger count. It has the Louis A. Turpen Aviation Museum, the San Francisco Airport Commission Aviation Library, and permanent and temporary art exhibitions in several places in the terminals. Free Wi-Fi is available to the public in most of the terminal area. 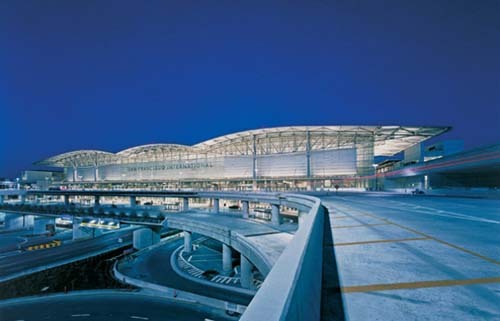 SFO’s international terminal was designed by Craig W. Hartman of Skidmore, Owings and Merrill and opened in December 2000 to replace International Departures from Terminal 2. It is the largest international terminal in North America, and is the largest building in the world built on base isolators to protect against earthquakes. Planners attempted to make the airport a destination in and of itself, not just for travelers that are passing through. The international terminal is a common use facility, with all gates and all ticketing areas shared among the international airlines. 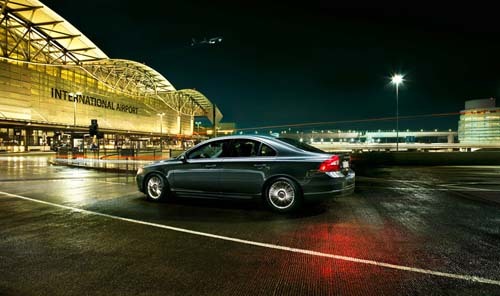 All international arrivals and departures are handled here (except flights from cities with customs preclearance). The BART train station is located in this terminal, at the garage leading to Boarding Area G. All the gates in this terminal have two jetway bridges with the exception of gates A2 and A10, which have one. Gates A1, A3, and A11 are capable of accommodating two aircraft. For lack of space, the terminal was constructed on top of the airport’s main access road at enormous expense, completing the continuous “ring” of terminals. The terminal required its own elaborate set of ramps to connect it with Highway 101. The design and construction of the international terminal is owed to Skidmore, Owings & Merrill, Del Campo & Maru Architects, Michael Willis Associates (main terminal building), Hellmuth, Obata and Kassabaum (Boarding Area G), and Gerson/Overstreet Architects (Boarding Area A). The contracts were awarded after an architectural design competition. If all gates in an airlines’ designated international boarding area are full, passengers will board or deplane from the opposite international boarding area. More information at www.flysfo.com and en.wikipedia.org.